This unsharpened karambit replica is a larger version of the Keen Edge K1 Trainer. 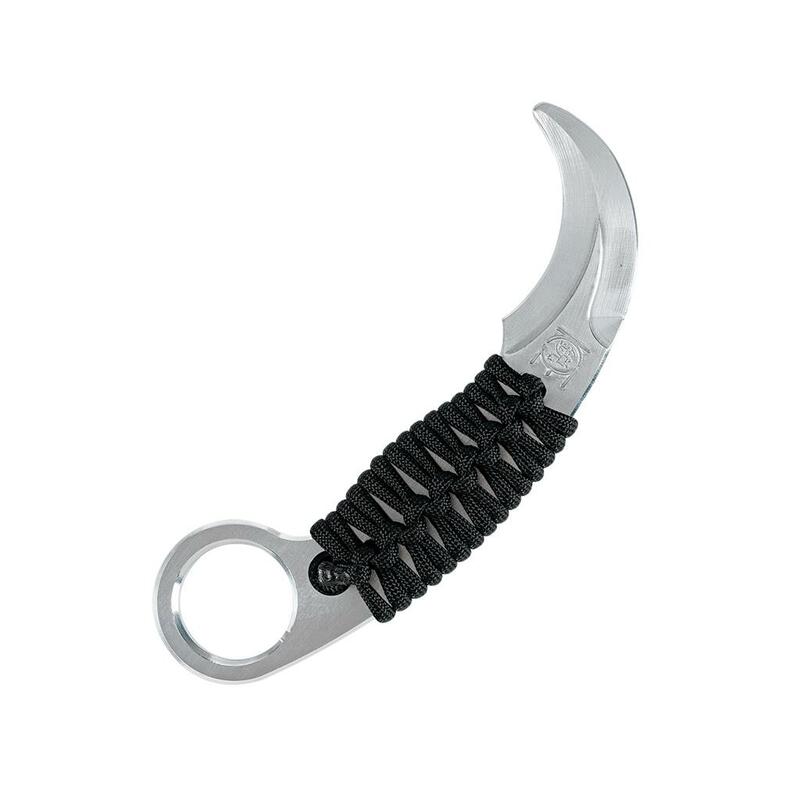 Ideal for Filipino martial arts training, this aluminum trainer features the classic claw like shape of the karambit, as well as the finger ring on the end for maneuvers and disarming prevention. A cord-wrapped handle helps provide a secure grip.